Ira Levin’s classic 1960’s horror novel tells the story of young New York housewife Rosemary Woodhouse. She and her husband, an actor named Guy who is yet to make it big, secure an apartment in a fabulous building and they are unperturbed when a friend fills them in on the building’s gory history of macabre deaths and strange goings-on. And, as is the way of things, at first their new life seems idyllic. When they meet their nearest neighbours, a septuagenarian couple named Minnie and Roman, Guy seems to become attached to them which Rosemary attributes to his lack of a parental influence in his life. However when she falls pregnant things start to turn a little sour for Rosemary as her neighbours all seem a little too interested in her baby. 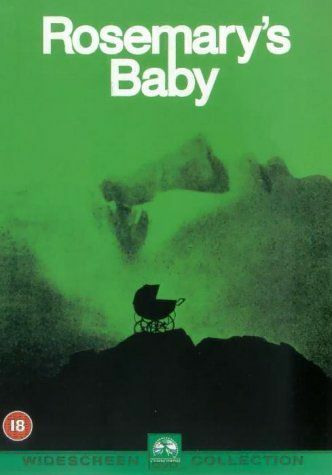 With an almost total lack of gore and grizzly deaths this is definitely more of a suspense novel than mainstream horror though it’s still plenty creepy enough for me, even all these years after its release. The story unfolds very much from Rosemary’s point of view and its horror lies in its clever juxtaposition of perfectly normal lives being conducted while, at least until the very end, there are only vague hints at the darkness happening just outside Rosemary’s (and the reader’s) field of vision. As everyone but modern Hollywood producers know, the scariest elements of any story aren’t those dripping in blood and body parts but rather fairly banal scenes where the danger is hinted at and the details left up to the consumer’s imagination. That said I did struggle a little to believe some elements of the story but I don’t know if that’s because it’s a bit dated or it was ever thus. The ease with which Rosemary becomes so isolated from her friends and family, so that the plans others have for her encounter not a jot of resistance, seemed a little far-fetched. As did the speed with which Guy became committed to the nefarious plans of people he had only just met. Plot is definitely king in this novel with characterisations being somewhat two-dimensional and unsatisfying because of that. On balance though the story is compelling, it’s impossible not to want to know exactly what is going to happen to Rosemary and her baby, and offers some genuine insight into its time and place. Levin was clearly paying attention to particular aspects of 1960’s America including the relative freedoms being experienced by young women at the time and the willingness to question social and religious norms in a way that would once never have been countenanced. This aspect is further teased out in the introduction to the modern edition I read where author Chuck Palahniuk discusses how well the book captures the reality of life for the reasonably wealthy in mid 60’s America. On the faithfulness to source material scale the 1968 adaptation of Levin’s novel with a young Mia Farrow in the starring role, is a 9.5 out of 10. It is virtually an exact replica of the novel, using all but one significant scene and much of the original dialogue exactly as written. For me this presented something of a ‘meh’ experience, perhaps forcing me to acknowledge that I’m really not a huge fan of such slavishly faithful adaptations. In the end I thought it showed a distinct lack of imagination, not even making any memorable use of the cinematic medium. Even the dream sequences and the ending, which could easily have lent themselves to a cinematographer’s fantastical eye, remained steadfastly grounded in being conveyed primarily by their dialogue which was taken directly from the source material. It’s not a bad film, overacting from everyone but Farrow aside, but it just doesn’t add anything at all to what was presented in the novel which I always find just a bit disappointing. I would definitely recommend the book over the film on this occasion. With both being driven by the exact same dialogue and storyline it seems sensible to let your own imagination run a little wild given that Roman Polanski completely failed to do so when he made the movie. 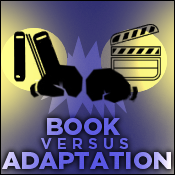 This entry was posted in book vs adaptation, Ira Levin. Bookmark the permalink. Interesting! I’ve seen the film but not read the book but your review makes me want to give it a go. 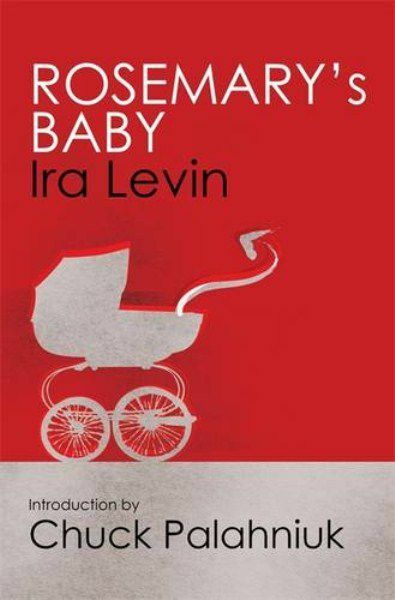 Ira Levin featured on one of the forgotten authors panes at Crimefest, last year I think. He was given a pretty good write-up. Bernadette – This is truly a creepy novel and for exactly the reasons you mention. We know something evil is going on, but on the surface, everything seems so normal… It’s to Levin’s credit that the story is so compelling in that way. And this isn’t the only novel in which he accomplishes that successfully (in my opinion). Interesting comparison, I think I saw the film years ago, but never read the book despite owning it. It was re-shown the other week over here and I missed out on recording it. Oh well, next time around. Levin’s books translate pretty well. I think I like the film better because it has such a moody, haunted look to it. I haven’t seen it in some time though. It scared me to death at a theater in Princeton NJ when I saw it. John Cassavetes was an interesting actor. Too bad he gave up acting and then died so young. I saw this when I was much younger and it scared me. Otherwise, I don’t remember much. I don’t think I have read the book. I would like to but not sure if it would be too tense to be enjoyable.